Home K-star Style Beauty This Autumn, Choose ‘soft’ Makeup Over ‘moist’ Makeup! This Autumn, Choose ‘soft’ Makeup Over ‘moist’ Makeup! 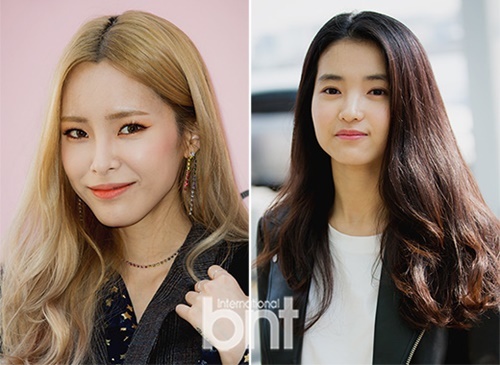 [by Kim Minsoo] The skin trend for this fall is different from the summer makeup that emphasized moistness, but a makeup look with soft finish. For the soft makeup, you should first understand what kind of skin texture finish you usually enjoy and which skin base suits you well. It is especially important to choose a foundation that meets your taste. # Worried About Cakey Makeup? Stop Now! Everyone knows that the beauty of a woman is derived from fair and clear skin without trouble. Particularly in October, women worry about the dry weather that cakes up the makeup that they put so much effort on. What do you spend the most time and effort while you apply the makeup? To make your eyes defined is one thing, but you must spend the most time on applying colors. But the most important thing is the skin makeup. As the dryness continues, your skin becomes more fatigue. In this case, build up the skin base with hydration cream and use powders to cover the skin. # Create clean, bright skin with powder! Ordinary face powders are used only at the last step of the makeup to extend longevity of the makeup and absorb oil. 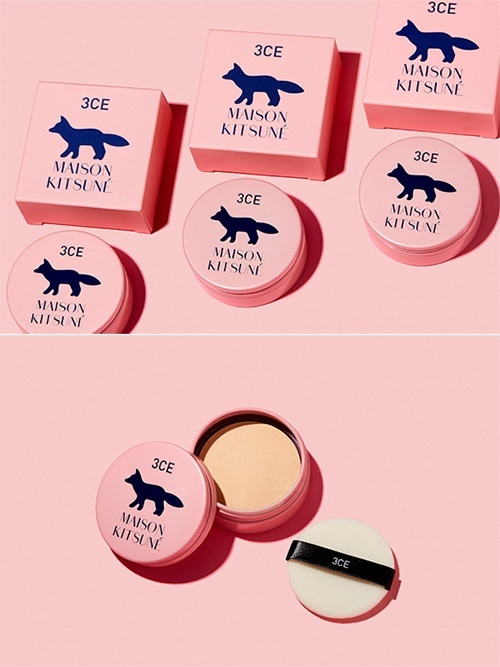 But the 3CE MAISON KITSUNÉ PRIMER SETTING POWDER tightly sticks on to the rugged pores and groves of the skin to create soft and smooth skin that lasts a long time. In addition, it absorbs excess sebum and sweat selectively but holds on the moisture so it never becomes dull and keeps your makeup looking fresh for all day long. The thin coverage creates smooth porcelain skin without clumps and irritation. TIP – You shouldn’t use strong face scrub just because your skin won’t absorb the makeup. Exfoliate once a week or use powdered wash with less irritation as a cleanser to exfoliate and create skin that absorbs makeup well.